The holidays for here along with the temptations of big meals, bountiful treats, and alcoholic beverages aplenty. Cancer patients might find these traditions difficult to keep up with. Keeping a good, healthy diet can be difficult, but right now is the time to boost your health. This doesn’t mean you can’t enjoy the festivities, but rather you get to choose how you enjoy them with a healthier perspective. Skipping meals may seem like a good idea so that you have “more room” for the important meal of the day. In reality, by skipping meals before a big dinner you will be more likely to overeat. Always eat breakfast. It doesn’t have to be a big breakfast; in fact, just some super foods like yogurt or cantaloupe can enhance the immune system. It will also help you fight the urge to overindulge yourself at a big meal and throughout the day. Drinking more water and skipping that glass of wine is a good health tip any time of year. However, it can be hard to say no to a beer with your buddy. Instead, come up with your own alternatives ahead of time. Try a virgin drink that you’ve always wanted. 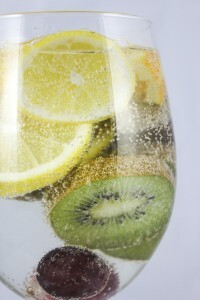 Sparkling water with some fruit can be an excellent alternative. Make a pitcher of flavored Crystal Light to bring along. Remember why you are avoiding alcohol; your body needs all its strength and health to recover from a life threatening disease. Help it out and make the right choice during the holidays. Not only will you be a favorite guest at the party, you’ll be able to bring something you know you can eat. When choosing a dish find something that has complex carbs found in whole grains, fruits, beans, and vegetables. A fresh fruit salad, a veggie tray, or mashed potatoes are always a welcome sight at a party. If you want to bring something that has meat in it pick something with leaner protein like chicken, turkey, or fish, especially salmon. You can also bring good healthy snacks to eat between meals. Mixed nuts and berries make for perfect grazing food or appetizers as they have the fiber you need. Instead of loading up your plate and then feeling guilty by not eating it all, take a smaller portion size at first. Pause between your bites and savor the flavors. If you need to get seconds to be satisfied that’s fine, but again, take a small portion size. Take a smaller plate to begin with and start with a fresh salad and vegetables. Indulge cautiously; look for an alternative to that double chocolate German cake. Try a fresh fruit cobbler or a chocolate dipped strawberry instead. 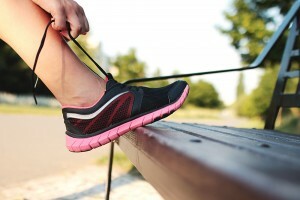 Keeping active during the holiday season will help you maintain a healthy weight, and it will help you minimize stress. You will be able to keep your energy levels up which will help with recovery. Remember a healthy body is an active body, so get out and run, play catch with your kid, or get to the gym. Take the time to take care of yourself so you can be in the prime condition to make a full recovery. Talk with your doctor about which physical exercises and activities will be best for your condition.